Tropical weather systems can quickly intensify from storms into hurricanes or cyclones. The cyclones often break out in the water-laden, warm, moist air found above tropical and sub-tropical bodies of water, including the Pacific and Atlantic oceans, the Gulf of Mexico and the Caribbean. The weather evolves through distinctive stages of development as it turns into a tropical cyclone. Tropical cyclones begin with a meteorological phenomenon known as a tropical wave. The wave is a low pressure trough or front that moves from east to west, generating wind speeds of around 25 mph. The low pressure system is the most common type of tropical disturbance, with about 100 occurring annually. A tropical disturbance is a persistent group of thunderstorms with heavy rains and strong wind gusts. The disturbance area is typically 100 to 300 miles across. A tropical depression is a disorganized system of strong storms characterized by maximum sustained wind speeds of 38 mph. Tropical depressions develop a closed circulation pattern of movement. The storms begin to rotate around a central low-pressure area. Because of the Earth's rotation, depressions in the Northern Hemisphere spin counterclockwise, the opposite of Southern Hemisphere depressions. The low-pressure depression's center draws warm air and water from the ocean's surface, feeding and intensifying the storms. The National Hurricane Center defines a tropical storm as a system producing one-minute sustained winds of 39 to 73 mph at an elevation of 32.8 feet. A tropical storm can develop from a depression in 12 to 48 hours depending on oceanic and atmospheric conditions. The storm organizes into the typical circular shape of a cyclone at this stage. Tropical storms produce extremely heavy rains from condensation of warm, moist sea air. The storms are characterized by damaging, gusty winds. Tropical cyclones are large, organized storm systems sustaining maximum wind speeds of 74 mph. 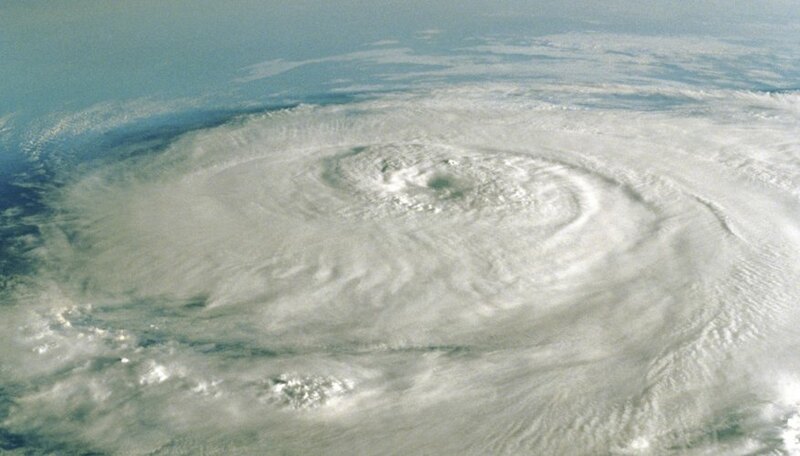 Cyclones have a calm center, called an eye, with the strongest winds blowing in a band around the eye. The Saffir-Simpson Hurricane Wind Scale categorizes tropical cyclones by wind-speed, barometric pressure and level of storm surge. A cyclone is classified as catastrophic when its wind speeds exceed 155 mph with more than 18 feet of storm surge. Tropical cyclones weaken and disperse when they reach land. Whitmer, Phil. "Stages of a Tropical Cyclone." Sciencing, https://sciencing.com/stages-tropical-cyclone-8709867.html. 24 April 2017.